A Couple Of Snakebites And The Red Cross! | The Lola Boys Do The East ! A Couple Of Snakebites And The Red Cross! 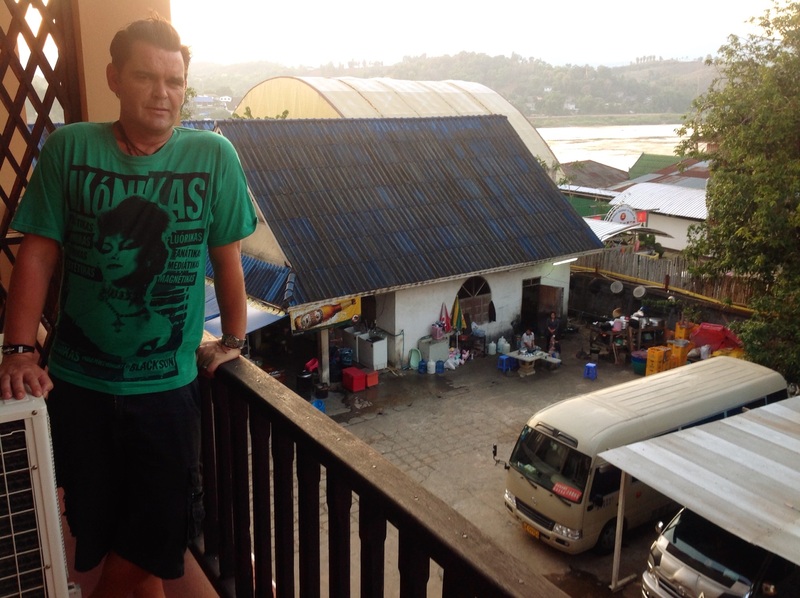 We had contemplated staying on an extra night at our little guest house on the Thai side of the mighty Mekong but that was before we realised we were living next to ‘Miss Ebola 2015’. A young Swiss couple with their young child were in number 11 – we were in number 10 – with nothing between us but a cardboard wall even ‘Ikea’ would have rejected. This Alpine clan were suffering! Coughing, spluttering, sneezing, wheezing and spitting! We named them ‘The Swiss Family Gobinson’! At bedtime, as I was reading, Andrew fell asleep within three seconds (a talent he possesses that I greatly envy), he than began to snore. Like a wart-hog! I attempted to silence him with a couple of gentle punches but to no avail. I then heard a gigantic sneezing fit coming through the flimsy divide. Snort! Sneeze! Wheeze! Cough! Snort! I then heard Ms Swiss Gobinson begin to imitate Andrew’s snoring! At which moment her partner began to chastise her – he told her that she was making enough noise for the whole of Zurich! (My rudimentary German comes in handy occasionally). At this point, the baby awoke and began to scream in a dreadfully effective Teutonic manner – I thought, between all of them, they would wake the entire guest-house. Luckily, I had taken a herbal sleep remedy given to me by our lovely friend Patrizia, and I slipped into a welcome state of unconsciousness. But, by morning, I knew the best thing to do to avoid the Swiss lack of neutrality was to traverse the river over to communist Laos – it brought a very different meaning to the ‘Red Cross’! 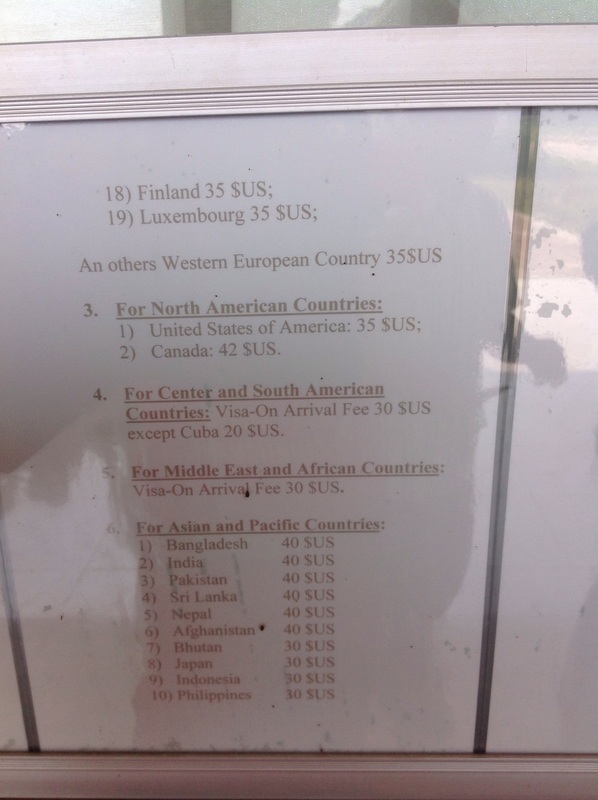 What we found amusing was the different visa fees that were required, depending on nationality. The Canadian contingent behind us were not amused (see above). 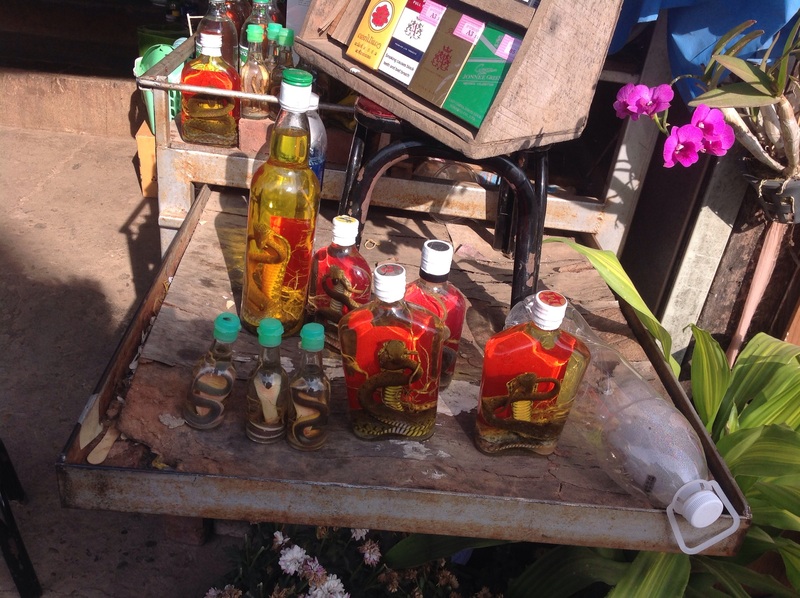 Quite obviously the people of Laos are not that keen on Maple Syrup. There were two windows at which to queue. The first opened and we handed in our completed immigration forms, passports and cash. We then waited and waited and waited. Finally, the second window opened and the same charming Laotian lady moved her chair slightly sideways and began her other job, that of returning our passports complete with Lao visas. When Andrew’s name was called I had to explain that he was on the bog! Much to the amusement of the international crowd of travellers ….. When he returned there was a ripple of applause. So much for ‘The Lola Boys’ playing it cool! Suffice to say, they let us in! We are now staying in HuayXai. A one horse town, where they seem to have lent the nag to someone else for the night! We are holidaying at ‘The Riverview Hotel’ (my fault). It could be re-named ‘The Riverglimpse Hotel’! Nothing for it but a good stiffener! After a couple of swift ‘Snakebites’ we felt most revived. 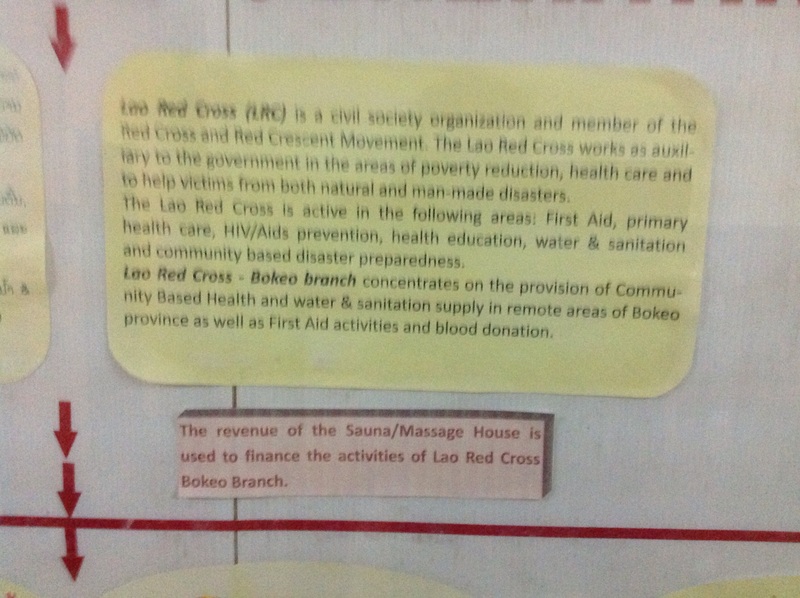 Our visit to the real Red Cross this evening certainly helped things too. We were not seeking medical help, only therapeutic – and the girls were wonderful.All profits going to the people of Bokeo province to help with stuff we in the West take for granted. After a herbal steam, a massage and a lesson in the Lao language, we left feeling both rejuvenated and pleased to be in this incredibly welcoming country. 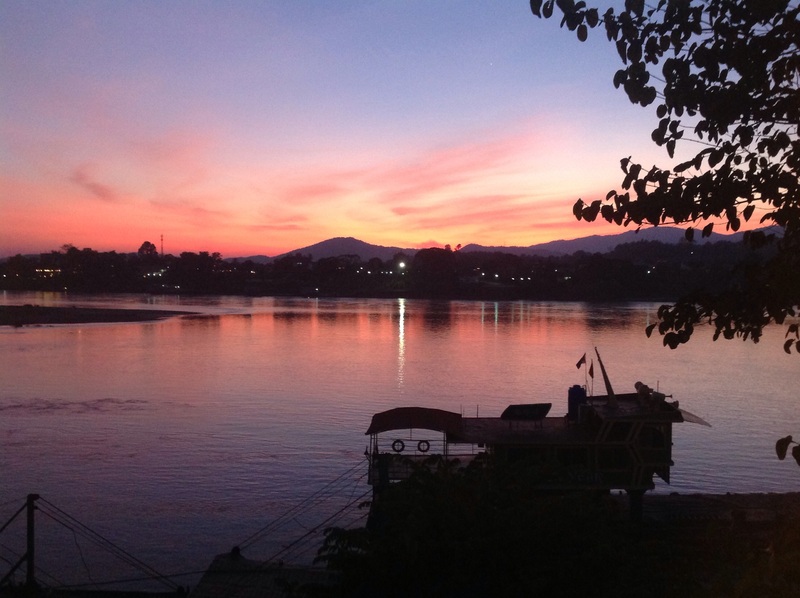 Tomorrow we take the very slow boat down the Mekong….. Ten hours! Let’s hope we don’t change our mind! Ahhh, so that’s who was keeping half of us in Zurich awake last night!!! Fantastic guys, have a safe trip, hope there is enough water and you do end up pushing the boat!!! Brilliantly written and as funny as always, glad to see you guys are having a great time!